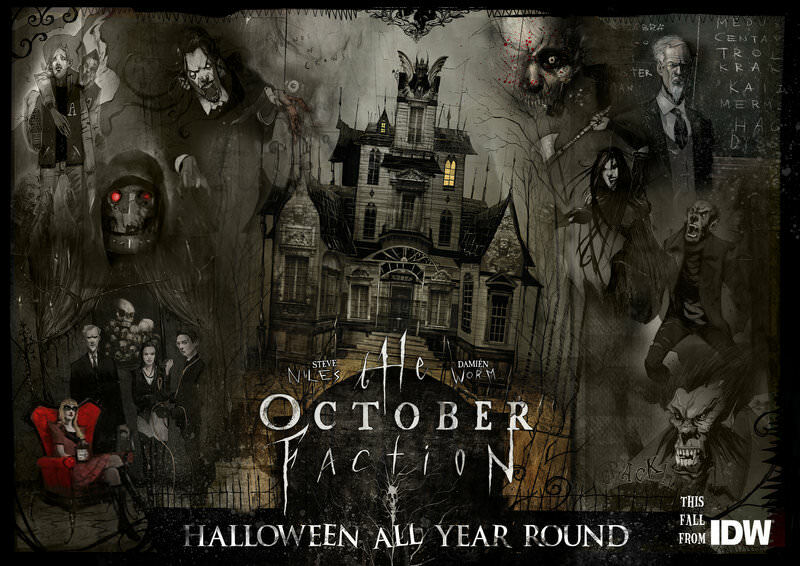 A new title appeared on Netlix that of October Faction. There is no exact release date for series but is to come out in in 2019. October Faction is a series created by Steve Niles that focuses on a family of Monster Hunters who attempt to retire in upstate New York with their teenage children but nothing goes according to plan with the town they move to has secrets of its own. "Building on the success of the IDW comic book series written by Steve Niles, October Factionfollows globetrotting monster hunters Fred and Deloris Allen who, after the death of Fred’s father, return to their hometown in upstate New York with their teenage children Geoff and Viv. As the family adjusts, Fred and Deloris must hide their identities as members of a secret organization, and our heroes quickly discover that their new small-town setting isn’t as idyllic as it seems." Follow the adventures of a retired monster-hunter and his family, which includes a thrill-killer, a witch and a warlock. Based on Steve Niles's comic.